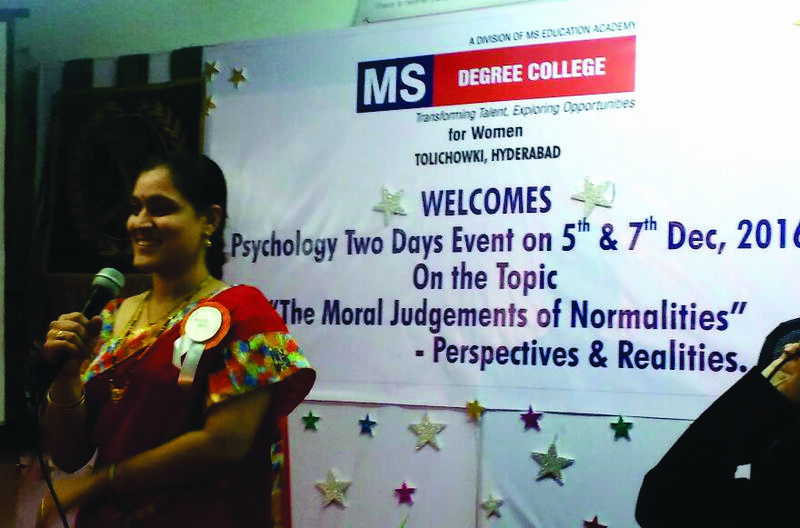 Hyderabad: The department of Psychology of MS Degree College conducted a Two-Day seminar entitled “The Moral Judgments of Normalities” sublined with perspectives & Realities from 5-7th Dec 2016. Addressing the audience Mr. Mohammed Abdul Lateef Khan (Chairman & Managing Director of MS Group of Institutions) highlighted the problems faced by students these days and suggested the method to overcome such problems. He also enlightened the students about future of Psychology in the present Scenario. Finance Director Mrs. Nuzhat Khan enlightened the students on empowerment of Women in all aspects of Life. She stressed on the need for Motivating Women psychologically to lead a successful life. Senior Director Anwar Ahmed appreciated the lecturers’ and students’ efforts, team work and positive attitude. 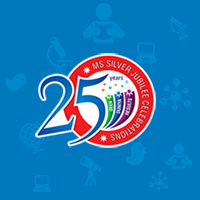 He appreciated Ms. Sri Ramya and Ms. Sailaja senior lecturers in psychology for their efforts and felicitated them for their hard work and zeal. Moazzam Hussain (Senior Director) threw light on the reality in skit and the perspectives behind it. Mrs. Amba (HR Dept) said that the event went on a positive note and such awareness is necessary in the society these days to avoid a stressful and depressed Life. 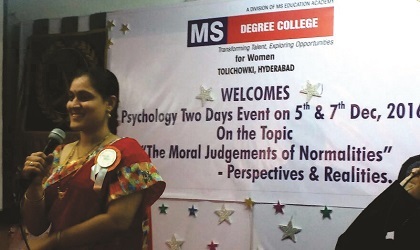 “Divinity and psychology go hand in hand”, said Dr. Zakia Sultana Principal of MS Degree College, Tolichowki in the concluding session of the seminar.